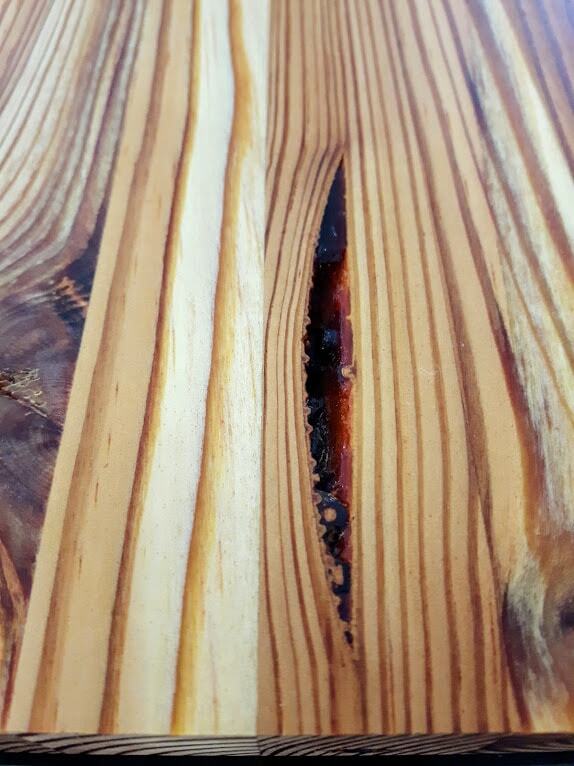 We create wood effects from rough timber to architectural-grade polished finishes. Wood treatments and species available. 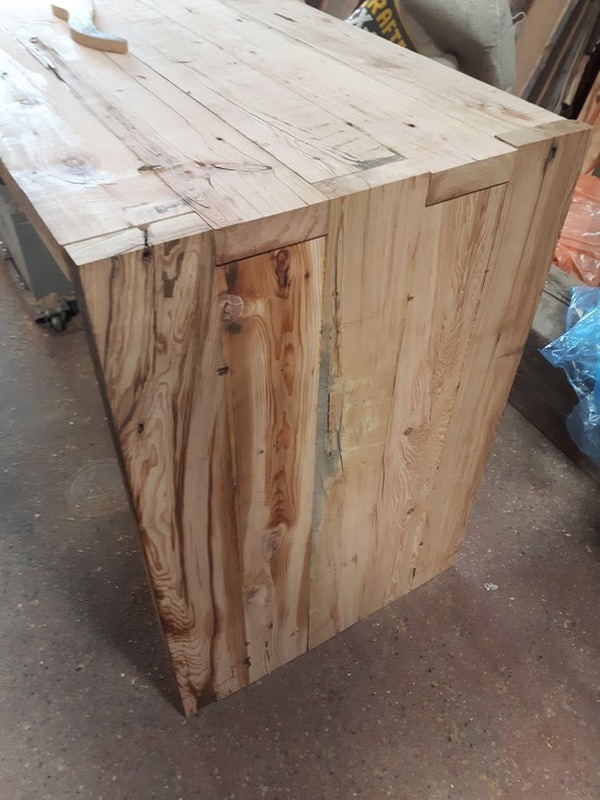 We offer a variety of wood species in various dimensions and typically have in stock reclaimed birch, fir, pine, maple, walnut, hemlock and oak among others. We offer precision milling and CNC services, as well as custom builds. 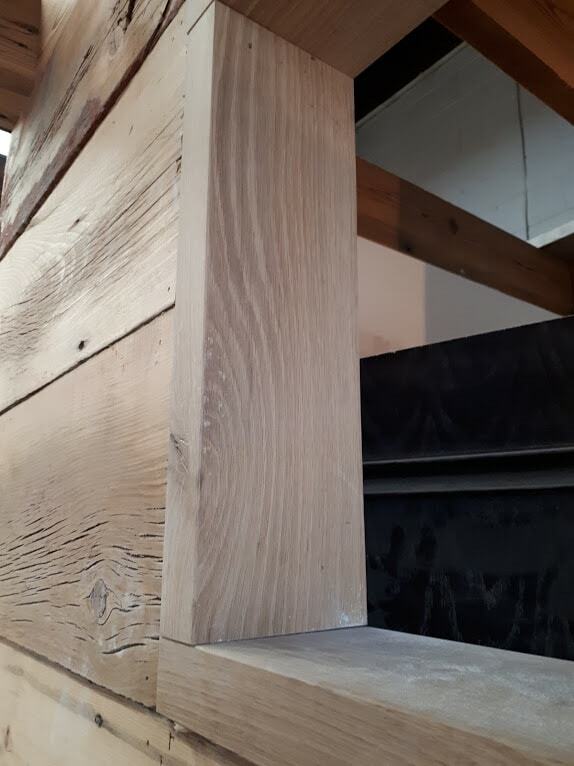 With our inventory of rough-sawed, reclaimed old-growth dimensional lumber, as well as a selection of large dimension beams, we are able achieve a variety of aesthetics from rustic rough timber and live-edge all the way to architectural-grade polished finishes. 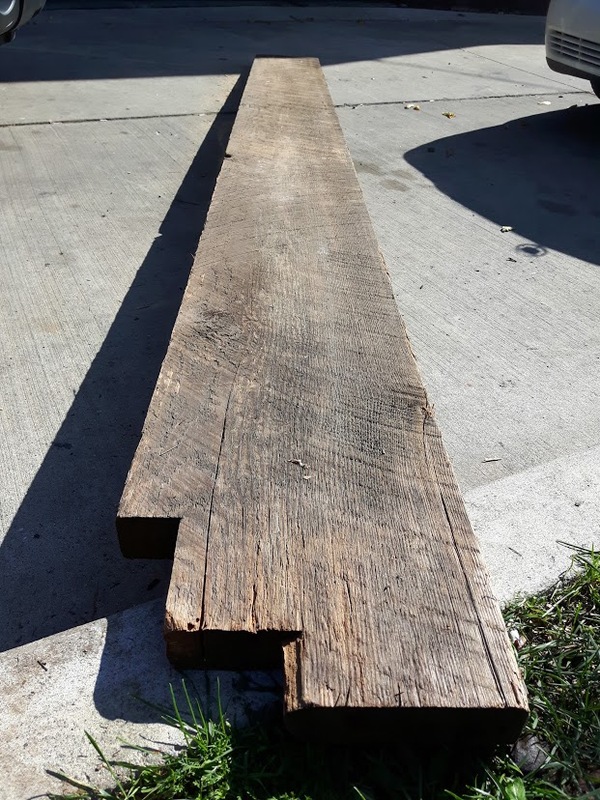 With our commitment to reclaimed wood, we deliver the unparalleled quality of old-growth timber: rich animated grain and exceptional density and strength. 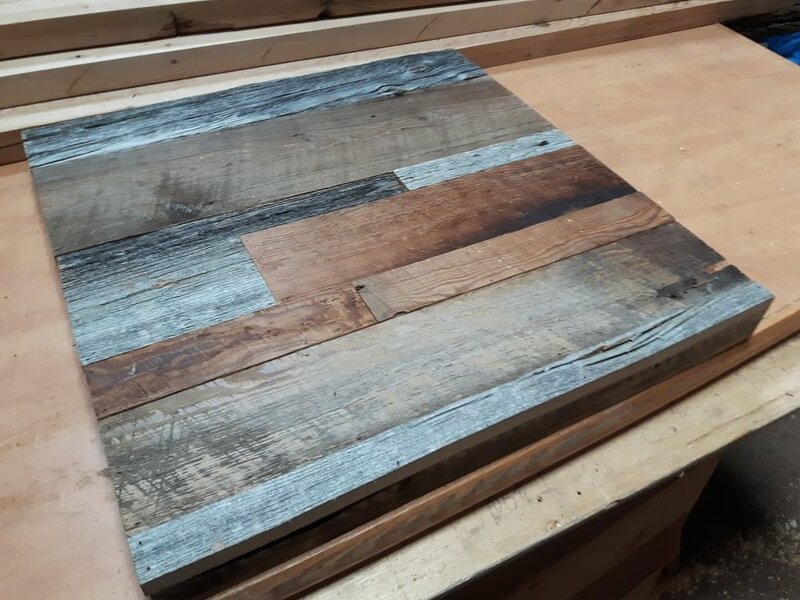 Our materials also offer the value of a story and historic reference, a philosophy rooted in sustainability and beautiful character markings unique to reclaimed lumber. red oak and walnut legs detailed display.